And yet my part of them, the life he gave me in his poem, is so full, except for the one moment when my hair catches fire—so colorless, except when my maiden cheeks blush like ivory stained with crimson dye—so conventional, I can’t bear it any longer. If I must go on existing century after century, then once at least I must break out and speak. He didn’t let me say a word. I have to take the word from him. He gave me along life but a small one. I need room, I need air. Lavinia is a minor character in Virgil’s The Aeneid. She is the daughter of Latinus, king of the Latins, and she becomes Aeneas’ second wife. In Lavinia, Ursula K. Le Guin gives her a voice of her own. The book tells the story of her childhood and youth before the arrival of the Trojan warriors, of the war that follows their arrival, of the early years of what was to become the Roman empire, and of Lavinia’s life after Aenea’s death. What I liked the most about Lavinia was how Le Guin took an epic and used its silences and omissions to create a deeply personal story. And when I say deeply personal, I don’t mean it erases the political implications of a war and of the birth of a new nation, nor that the social organization of Bronze Age Italy isn’t explored in detail. It doesn’t, and it is—but unlike what sometimes happens with epics, I never felt distant from the characters or the story. Quite the contrary. Kailana and I read this book at around the same time, and so we decided to ask each other questions about it. One of Kailana's was, "What did you think of Lavinia as a character? Did you have any problems with her? 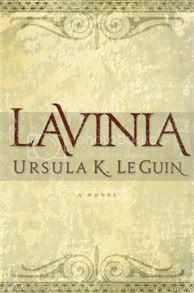 I really loved Lavinia, most of all because Ursula Le Guin was able to give her a voice that felt completely authentic. As a young woman of marriageable age, Lavinia is aware of her powerlessness, of the fact that most see her as nothing but a prize. Le Guin doesn’t strain credibility by giving the characters too modern a sensibility, but she does give her narrator the ability to make injustice visible, and the insight to think about its causes. As for my favourite scene in the novel (which is another one of the question), it was probably a conversation Aeneas has with his eldest son Ascanius about what it means to be a man. Ascanius believes that it is only in war and violence that a man can truly show his glory. His restrictive definition of both masculinity and of “glory” makes him, unsurprisingly, an unwise ruler, and also someone who is deeply suspicious of women and has trouble dealing with his own sexuality. What Aeneas tells him—which I won’t give away, because you really need to read it in context—is both subtle and incisive. One of the questions I asked Kailana was about Ascanius, because he really intrigued me. She said that in the end she mostly felt sorry for him, and despite everything I agree. The way he was portrayed was very human, and so I felt for him. And not making him unsympathetic in the end worked very well because it called attention to the fact that his sexism and the fact that he idealized violence were part of a system, of a culture, rather than being individual traits. This doesn't excuse him, of course, but it humanizes him and it puts things in context. Kailana also asked, "What did you think about the use of the spiritual world in this novel? Was it believable or do you think it was just a dream? (ex: The Poet)" I didn't necessarily interpret Virgil's appearance as a manifestation of the spiritual world, though of course that also makes sense. But I really loved all the religious rites that were included in the story. They were - I guess we could call them pagan, though we tend to associate different things with that word these days. I don't always identify with religious worldviews, but I really felt close to Lavinia's, mostly because she sees humankind as being a part of nature and not as being its master. All her rites involved awe and wonder and a deep respect for her land, and I loved that. "On the same topic as the poet, what did you think about the fact that this was a story within a story to Lavinia? Did it take anything away from the novel knowing what was going to happen?" We find out very early in the novel that Lavinia is aware of her mythical status, and, as Kailana mentioned above, there's even an appearance by Virgil himself. I think making a character aware of her own fictionality without making the story crumble takes tremendous skill, but Ursula Le Guin manages it perfectly. I loved that. Knowing things in advance really didn't lessen their impact for me. I think this might have to do with how I feel about Le Guin's writing: it's very subtle and contained, and yet the emotions are all there. She often merely suggests them, but to me that only adds to their power. For example, we know all along when Aeneas is going to die, and yet when it happened it still broke my heart. Lavinia doesn’t dwell on her grief, but I was still able to feel it. Kailana's last question was, "You mentioned on your blog that reading Lavinia inspired you to buy more female-narrated novels (uh, right?). What are some others that you have read and recommend?" Yes, I mentioned it inspired me to pick up The Firebrand by Marion Zimmer Bradley, which retells the Trojan War from Cassandra's perspective. I love myths retold, especially when they're told from the perspective of those who remain voiceless in the originals, which is often the case with women. Everyone knows The Mists of Avalon, but it's really one of my favourites. The Penelopiad is another good one, though now that I've read more Atwood I think it sort of pales in comparison to her others. And this question reminded me of a book I read in my early days of blogging: Inside the Walls of Troy by Clemence McLaren. It uses Helen and Cassandra's perspectives, and although it's short, it's a very good book. What about you? Are there any retellings of myths or other well-known stories from the perspective of women that you recommend? He was a city man, a politician. To him, my mother and I were unimportant persons in tactically important positions. We had to be managed. He saw women as he saw dogs or cattle, members of another species, to be taken into account only as they were useful or dangerous. He considered my mother dangerous, me negligible, except insofar as I might be made use of. But what am I to do now? I have lost my guide, my Vergil. I must go on by myself through all that is left after the end, all the rest of the immense, pathless, unreadable world. What is left after a death? Everything else. The sun a man saw rise goes down though he does not see it set. A woman sits down to the weaving another woman left in the room. I was fated, it seems, to live among people who suffered beyond measure from grief, who were driven mad by it. Though I suffered grief, I was doomed to sanity. This was no doing of the poet’s. I know that he gave me nothing but modest blushes, and no character at all. I know that he said I raved and tore my golden tresses at my mother’s death. He simply was not paying attention: I was silent then, tearless, and only intent on making her poor soiled body decent. And my hair has always been dark. In truth he gave me nothing by a name, and I have filled it with myself. Yet without him would I even have a name? I had never blamed him. Even a poet cannot get everything right. I loved The Aeneid, and I mean to get to this book someday. It looks so interesting, and I love books based on classics. "but unlike what sometimes happens with epics, I never felt distant from the characters or the story." This is exactly the problem I'm having with a few books right now. In fact, I'm working on a post about this very topic. 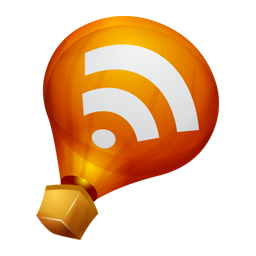 I'm sure I'll be linking to your review now once I get it posted! So, which forgotten characters in old myths/epics/etc., do you wish there were books about? I just placed this on hold at the library. Do you think I should read the Aeneid first? One of my favorite retellings has to be Mists of Avalon. I'm thinking of picking it up to re-read it. As good as this book really does sound, it also sounds very intimidating to me. I really, really want to try something by Ursula Le Guin. Yeah, probably because you love her so much, and you have never ever steered me wrong. :) So, is there a book/series that you think would make the best introduction? This book is definitely on my list of books to read. I love re-tellings from the female perspective. Of course, like many others, one of my very favorites is The Mists of Avalon. This was the first book of its type that I'd ever read (in the 80s maybe?) and I was pretty impressed. I enjoyed Penelopiad mostly because it fits into this "type." I must agree with you that I've enjoyed other Atwood books more than this one though. This sounds really interesting.One more for the list! I think that Lavinia also makes an appearance (though I don't recall the context) in Shakespeare's Titus Andronicus--"enter Lavinia with her tongue cut out"--so LeGuin's giving her voice is even more poignant. Thanks! I love Le Guin's writng and this sounds unusual so will add it to my library list. I've wanted to read this for awhile... but I haven't read the Aeneid - should I read that first? Here's another book that I feel I should read after reading both of your thoughts on this one!!! I need to admit a shameful fact. Ursela Le Guin scares the bejeezus out of me. I've never read any of her books, but all of them sound so far outside of my comfort zone that I've never picked one up. Hi Ana, as mentioned at Kailana's, I'm going to have to read this. Great review! What a fun way to do a review with another blogger! I told you on Twitter, but I will say it here, too. My most recent read in the same vein is Jo Graham. I heard her newest book was not as good, but I really liked BLACK SHIPS. It reminded me of this book in several ways. I am so pleased with myself right now because I remembered Aeneas's first wife's name. (It's Creusa.) I keep meaning to go back and translate the Aeneid again properly (like, not for school) now that I am grown up and I can do crazy things like transfer epithets whenever I feel like it. I love the excerpts you posted from the book - I am not Ursula Le Guin's hugest fan, but I'm going to have to give this a try. I know we had a chat about the "change of agency" in the novel, i.e., Lavinia acts on her own behalf for about half of the book and then only acts as an agent through which the story is told (which is my opinion, btw). Did you sense that as well? I do think that Virgil's appearances were my favorite parts, and much like Lavinia I felt lost when the framework of his narrative was lost. I was reading Kelly's post about this book earlier this evening and I have to say it really sounds good. I read the first book in the Wizard of Earthsea series and really liked it. I'm anxious to continue with that and try some of the author's other works. I like the idea of this, but it's kind of intimidating too - I guess I'd have to read the Aeneid first anyway! I have The Earthsea series on my shelf though, waiting for years already, poor books. Ooh, I haven't kept up with LeGuin and didn't know this was out. Thanks for alerting me to it! Oh man. I jsut bought this last week and I'm half way through it. Loving it so far! Thanks for the great review! i've never read The Aeneid. This sounds interesting. I do like the passages you quoted. Regarding other female-centric myths retold, I recommend HER KIND by Jane Cahill. It's a collection of Greek myths retold from the female perspective, with extensive endnotes. I'd love reading this, only for the fact that it's based off a character of the Aeneid - but it's even better if it's a great read! I have "The Penelopiad" in my borrowed books pile right now, but later after I might try Lavinia! Lezlie: I think you'd enjoy this one too! Suey, thank you! Added your link! Jason: I'd love to read a novel from the point of view of the Queen in Snow White. Neil Gaiman's wonderful story Snow, Glass, Apples does just that, but I want a whole novel :P I'd also love a Nordic saga from a female perspective. They're all interesting, but I wonder what people other than warriors thought about all the killing. I'm pretty sure books like this must exist...I just have to find them now. Debi: I think I misrepresented the book by making it sounded inaccessible - it really isn't at all! As for a starting point, I'd recommend the Annals of the Western Shore trilogy - Gifts, Voices, and Powers. Terri B: Yes, The Penelopiad is a good book, but not quite up to her usual standards! ds: Yes you did, and I added it to my wishlist already :) Shakespeare's Lavinia is a different one, but her story made me so angry and so sad. Cath, I think this is definitely your kind of book. Marineko: I haven't read it myself, though I did knew the basics of the story from reading Greek and Roman mythology as a child. I think an online summary would do the job, though, and then if you like this and feel brave you can try the real thing :P Someday I will! Amanda: Aw, she's not scary! Like I was telling Debi, I worry I made this sound inaccessible. It really isn't! Alice: I hope you enjoy it as much as we did! J.T. : I'm glad you enjoyed the format! Kailana: I shall add it to The List! Next is The Firebrand, right? Though I need some time before I can face a chunkster...it's taking me forever to read even normal sized books these days! Jenny: I never got far enough with my Latin for the Aeneid (I only took it for a year). It was only Catullus and Ovid for me, but I did have a lot of fun translating them. I hope you enjoy this one if you decide to pick it up! Zibilee, I hope you enjoy it as much as I did! Wendy: A Wizard of Earthsea is actually my least favourite book in the series (though I still liked it a lot), so hopefully you'll like her others even more! Kate, same here! I've only read brief retellings, and I think I'd have been fine even without those. Marie, I'm glad to hear you're loving it and I look forward to your review! Naida: Me neither. It really is fine to read this regardless :) And thank you! Memory: I hadn't heard of that collection before, and it sounds awesome! Kay: I did like The Penelopiad, but I like Lavinia so much more! I hope you enjoy it too. This book sounds amazing...a story that I want to read. I love to read a retelling. I have read a few retellings of fairy tales and one greek myth. I am interested to read more. Lavinia is going on my TBR list. I just read Kailana's review of this and combined with yours I must get it! It's gone straight on my wish list. It's just the kind of book I love, a re-telling from a different slant of a myth. Thanks for blogging about this as I hadn't heard of it. Hey, we both picked out one of the same favorite passages! I really like what you have to say about Ascianus. I just wrote a review of this book. A lot of the time I can't reconstruct where I first heard about a novel, but I got a comment from Jason Gignac that mentioned your review, and so I realized I must have seen it your "year in review" post. I hadn't read your actual review until now; I just checked it out on the strength of your recommendation, and the fact that it was by Le Guin. So, thank you!